Merrimac St. Near The Intersection Of Tyng St. And Merrimac St. 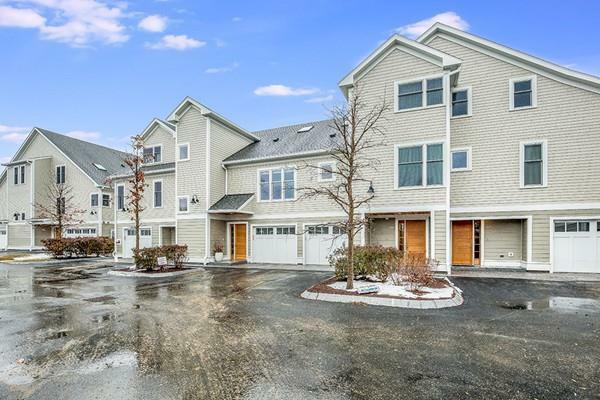 This spectacular sleek and sophisticated 2-bedroom unit at Newburyport Landing boasts a private, oversized deck with fabulous water views, a fenced-in yard, and a 2-car garage all in a walk-to-town location. Arguably the best unit within this complex, the spacious open floor plan with state-of-the-art kitchen overlooking the water lends itself to any lifestyle. The sensational oversized master suite with glorious spa bath and sparkling water views is truly a peaceful haven of relaxation and luxury. An additional bedroom or den is the perfect getaway or guest suite. The lower level has many options: family room, office, guest quarters, etc. and walks out to the rear yard, allowing for light and views. With breathtaking water views from every floor of this home and easy access to shops, restaurants, and parks, enjoy the best that Newburyport has to offer right at your doorstep.